The everyday life of Paul Braconnier (played by the famous Michel Simon) and his wife Blandine (Germaine Reuver) is far from what one would describe as a marital bliss. Paul Braconnier reproaches her that she's old and ugly and that she drinks too much. They hate each other as much as they possibly can - to the point that they want to murder each other. One day, Paul Braconnier hears about the champion lawyer Maitre Aubanel (played by Jean Debucourt) who just won his 100th case. Paul decided to promptly visit him to know how he can kill his wife without going to jail. Delighted to hear that murder without consequences is possible, he decides to stab his wife when she is about to poison him. With a lawyer like Aubanel, he is certain to get away with his crime. What follows is probably the funniest trial sequence in film history. 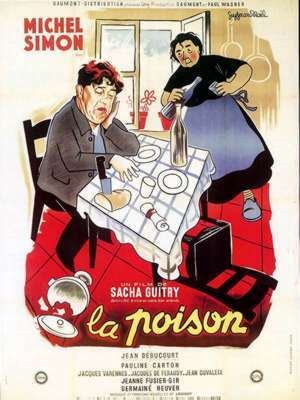 La poison' is the funniest movie that Sacha Guitry made after WWII. 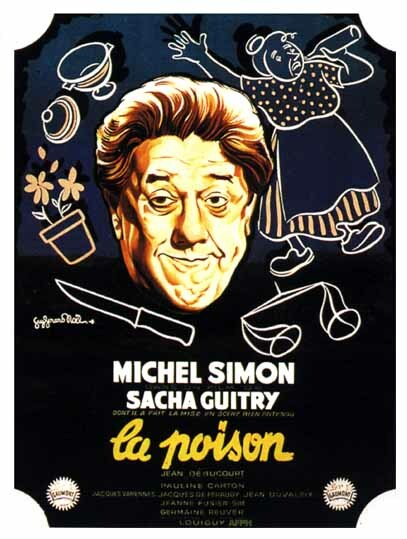 As always in the work of Sacha Guitry, this story is a satire of marriage. This black comedy is delightful due to the performance of Michel Simon (once more!) 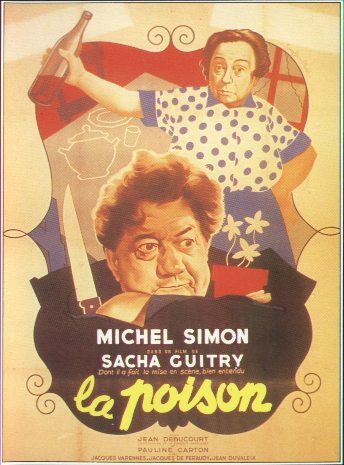 in this role of a colorful rogue and to the high standard comical writing of Sacha Guitry. The name of the main character (Braconnier, which is the French word for poacher) was not chosen randomly: it is a description of the attitude that the main character has throughout the movie, i.e. that of a character behaving against the law. 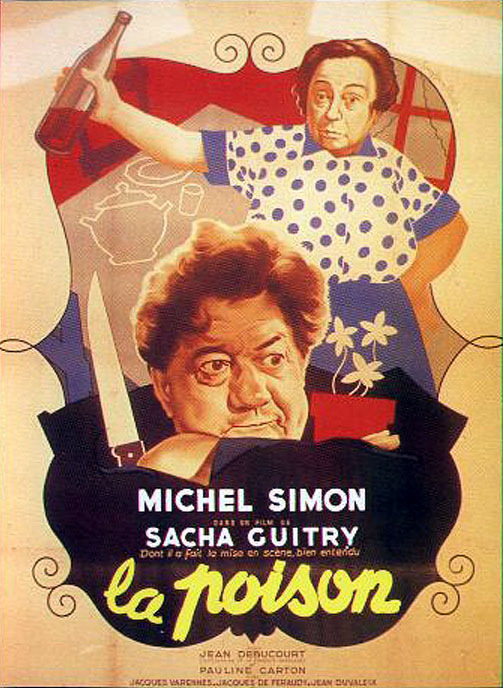 The tone of the movie is definitively anarchist and the character played by Michel Simon is not far from that of Boudu (another great performance by Michel Simon in 'Boudu sauve des eaux by Jean Renoir, 1932). Guitry adds to our pleasure by introducing the complete credited cast during the opening sequence (much alike Orson Welles introducing his actors in the movie Othello and in the trailer of Citizen Kane) congratulating Michel Simon for his acting. Louis de Funes (at this time not as popular as he would be more than a decade later) can be seen in a small role. Pauline Carton (who played in most of Sacha Guitry movies) is present as well.